The Dawson River Weeping Bottlebrush is a stunning evergreen known for its' red bottlebrush flowers on long stems arriving in spring and summer. 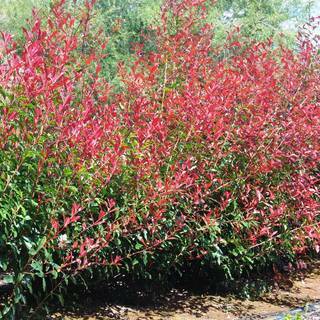 This pretty tree grows 1.2 - 1.8 metres tall and is highly attractive to birds and insects. With its' pretty weeping foliage, it is ideal for use as a specimen tree, screening or hedging, and the non-invasive root system render it ideal for planting near buildings or walkways.